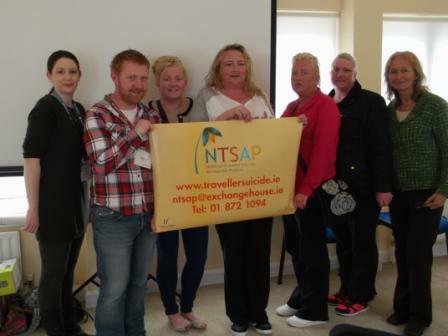 On 1st of April, Exchange House National Travellers Suicide Awareness Project (NTSAP) hit the road and took a spin to Kerry. The weather was beautiful and we took it is as a positive sign as we nervously made our way to deliver our first SafeTALK as newly trained trainers! SafeTALK is suicide alertness for everyone. It is a half day training programme that helps community members to become more suicide alert and to become skilled in helping someone who has thoughts of suicide to seek help from services. Mary Kiernan, Health Co-ordinator of Kerry Traveller Health Community Development Group, was our gracious host during our few days in Kerry and she was fantastic in organising a beautiful training room in the Console offices in Tralee. We trained 16 participants in SafeTALK on the 2nd of April; there were a mix of Traveller community members, staff of Traveller services and staff from Console in the group. The group was very interactive and participated very strongly in all aspects of the training. Ronan and Trisha were delighted to have completed their first training session with such a lovely interactive group and despite a few technical mishaps, it seems the group enjoyed the morning and learned a lot. 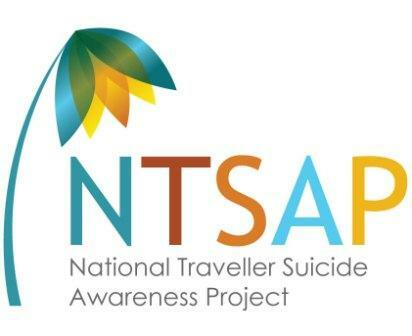 NTSAP is available to deliver SafeTALK to other Traveller organisations and Traveller community groups/members. If you would like more information on the training or to request a workshop, please contact Patricia Mc Keever at ntsap@exchangehouse.ie or 087 792 5387.